This G-Shock Mudmaster Casio watch is ideal for the man who was made for the mud and whose daily routine entails getting down in the dirt. Other than the classic shock-resistant and waterproof qualities, this rugged timepiece is equipped with a barometer, thermometer, atomic timekeeping, solar power technology, mud resistance, and more! The face of this watch is made from sapphire crystal which ensures that you will have clear visibility under any condition. The Casio Mudmaster will support any tireless work ethic and support all unstoppable lifestyles.J.R. 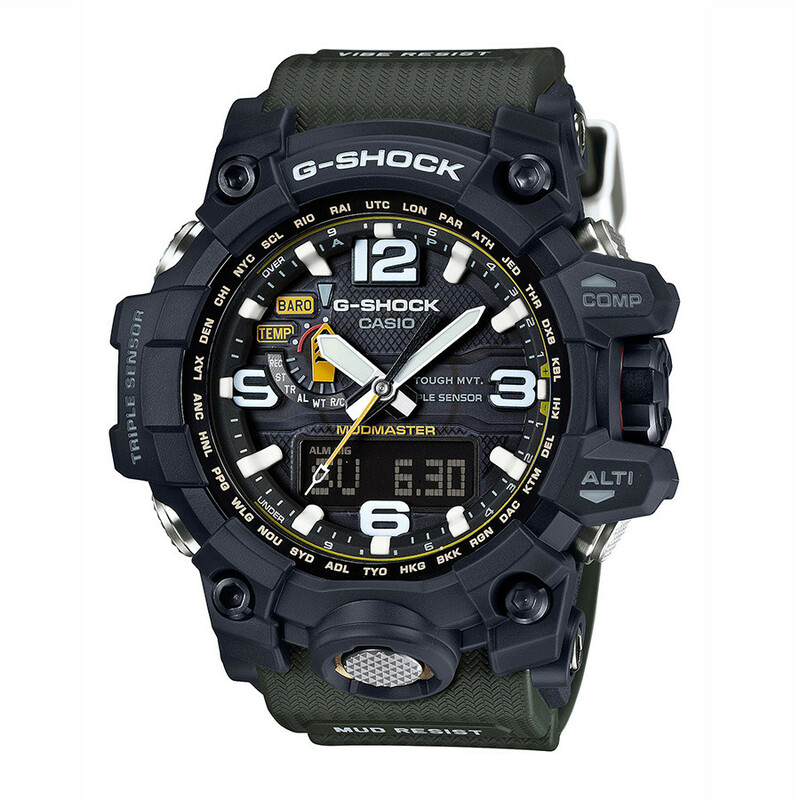 Dunn Jewelers has a 10-day satisfaction guarantee for all G-Shock products.